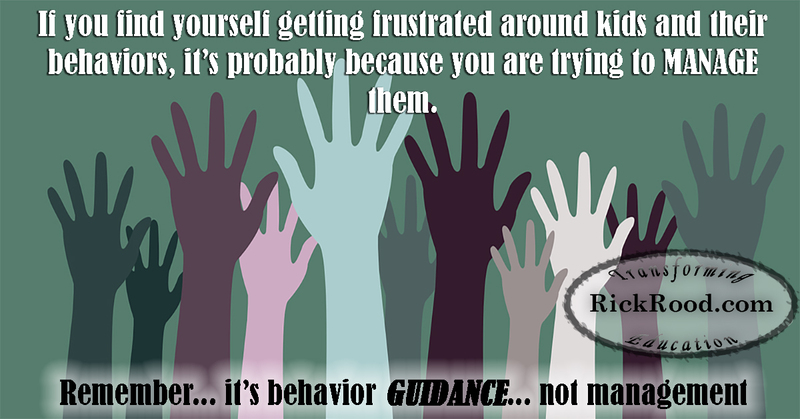 Guidance vs Management - We GUIDE people, we MANAGE things. 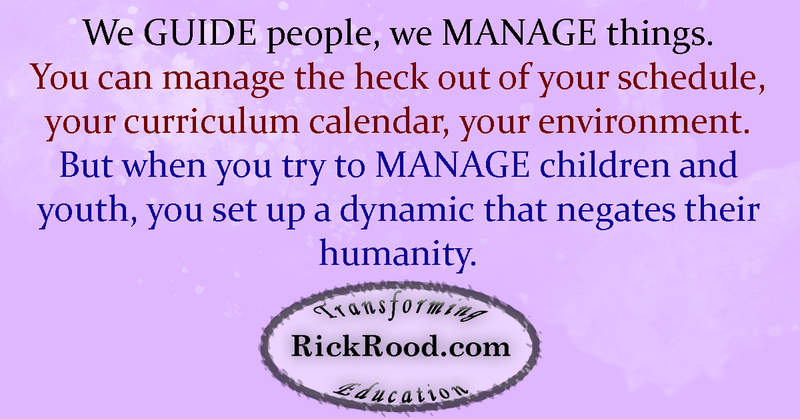 You can manage the heck out of your schedule, your curriculum, your environment. 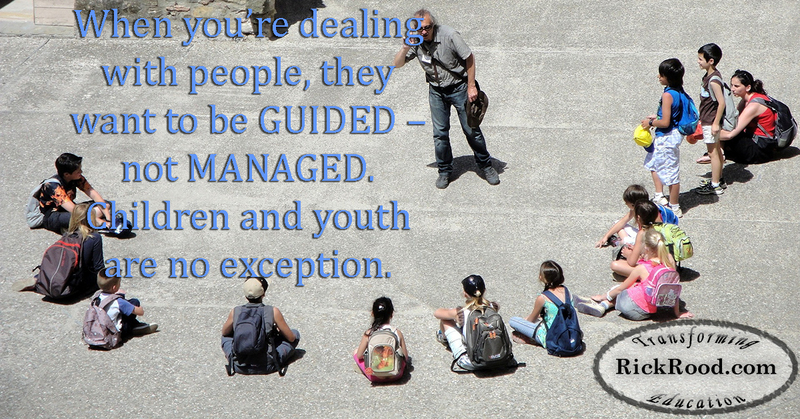 But when you try to MANAGE children and youth, you set up a dynamic that negates the humanity of the children and youth you're working with. Begin with the End in Mind - One of the Seven Habits of Highly Effective People by Steven Covey, how we can apply it to the classroom. Develop Affinity - Affinity is that feeling of going beyond "like" to the place where we feel understood and accepted by others. Your students NEED your affinity. Take on a Role-Model Mentality - "Don't worry that kids never listen to you ... worry that they are always watching you." 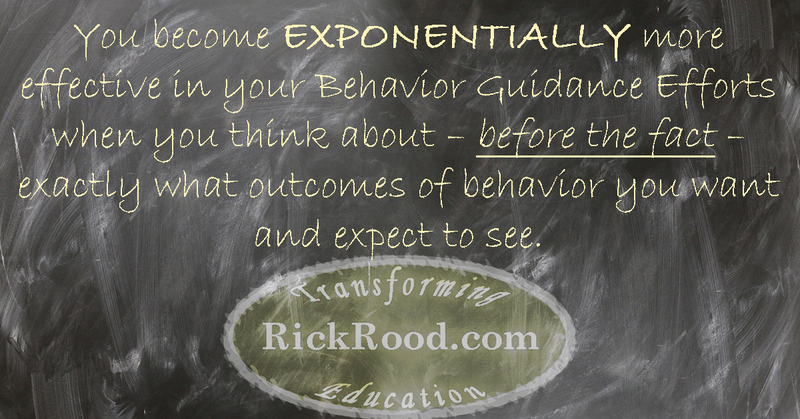 Game of Influence - You'll see expert teachers using the power of POSITIVE consequences along with it's constant companion, Influence, for Behavior Guidance. Watch the video above to get the full training. 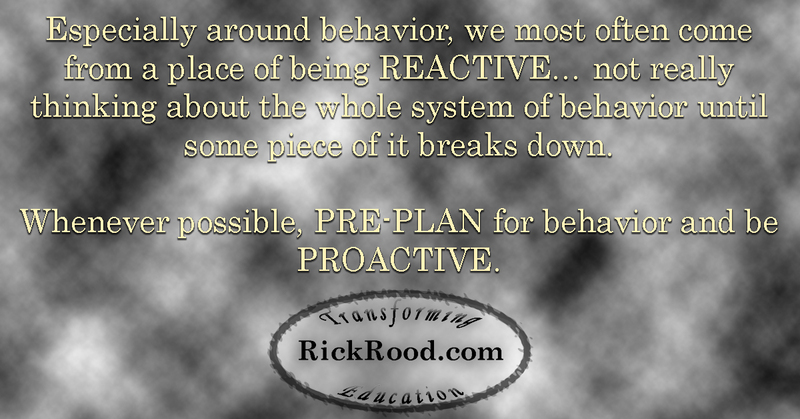 Sign up for inspiration and tactical tidbits you can use everyday in your classroom. Don't worry, we never share your information. We will send you the latest announcements, events and information, as it comes out, so you won't miss anything.